If you’re in the market for a family-friendly, three-row crossover, you’ll want to check out the new 2019 INFINITI QX60. Its plush interior, long list of standard and optional features, and strong V6 engine make it a top pick in its segment. This vehicle is spacious on the inside, and that spacious cabin is filled with the most desired convenience features. New for 2019 is upgraded safety systems, better suspension, and available driver-alert features that make this family hauler a great choice for long-distance travel. There’s also a new Limited package that combines most all of the optional features into a single bundle. All 2019 INFINITI QX60 trims are powered by a 3.5L V6 rated at 295 horsepower. Front-wheel drive is standard, and all-wheel drive is optional. Transmission is continuously variable, and this means no predetermined shift points. The result is acceleration that’s always seamless regardless of road grade. The QX60 is easy to drive, and the linear gas pedal and brakes aids the driver further. You’ll find that the steering is light and composed, and although the overall handling is inferior to the smaller, sportier crossovers, the quiet, controlled ride is far better than what’s experienced with most competitors in this vehicle class. The 2019 QX60 comes in a single trim, but you’ll have a lot of fun choosing your add-on packages. The base model comes with a sunroof, a power liftgate, leather upholstery, heated and power-adjustable front seats, a 50/50-split folding third row, and tri-zone climate control. A 7-inch screen display, Bluetooth, and satellite radio are also standard. If you choose one or more of the package options, you’re rewarded with driver seat memory settings, a larger screen display, navigation, voice controls, and the InTouch electronics interface. The Deluxe Technology package adds on heated second-row seats, a powered third-row seat, ventilated front seats, and a panoramic-style sunroof. The comfortable, spacious cabin is just the place for energetic teens and preteens, and there’s plenty of cargo space when the third-row is folded. Wood accents and metallic interior trim are available if you want to spruce up the interior’s appearance. Every 2019 INFINITI QX60 comes with stability and traction control, front, front-side, and side-curtain airbags, the LATCH system of child seat anchors and tethers, and a rearview camera. The options packages add on the entire suite of driver safety aids. Blind-spot monitoring and lane departure warning are included in these packages. However, the forward collision warning and automatic emergency braking are standard on the 2019 model. You might want to consider the top-down 360-degree camera, another optional safety feature that’s included with the Premium Plus package. 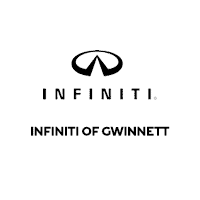 See the new 2019 INFINITI QX60 at INFINITI of Gwinnett, and call ahead to schedule a test drive. It’s hard to beat this model when it comes to roominess, safety, and overall ride quality.